Nissan Motor Co has agreed to take a 34 percent stake in Mitsubishi Motors Corp, taking de facto control with a $2.2 billion bet that bails out its smaller, scandal-hit rival. The deal is a lifeline for Mitsubishi Motors, which is mired in its third scandal in two decades, but should also be a boost for Nissan. Japan’s number two car maker has struggled to make inroads into Asia outside China, in countries like Thailand and the Philippines, where Mitsubishi’s models are popular. Under Thursday’s deal, which both companies said will help Mitsubishi “regain trust”, Mitsubishi Motors will issue new shares to Nissan at a 5.3 percent discount to Wednesday’s close, raising 237.4 billion yen ($2.18 billion). That will hand Nissan just over a third of the group – enough to wield control, under Japanese shareholding rules. Nissan Chief Executive Carlos Ghosn said the two would now share and jointly develop technology, and could realize “billions” in synergies by coordinating purchasing, plant utilization and cooperating in growth markets. “We believe this will be a win-win situation… We believe we can help and support and grow together, better than if Mitsubishi was doing this on its own,” he told reporters at a joint press conference in Yokohama, south of Tokyo. Ghosn said Nissan will be able to nominate a third of Mitsubishi Motors’ board, adding he believed that would also be led by a Nissan executive. Mitsubishi admitted last month it overstated the fuel economy of at least four of its models – mini cars sold in Japan, including two sold under Nissan’s badge. That has badly hit Mitsubishi, wiping $3 billion off its value and bruising a brand already losing market share, as investors fretted over potential compensation costs. Ghosn said he had been “reassured” by Mitsubishi Motors’ Chief Executive Osamu Masuko over the size and scope of the fuel economy troubles, which Masuko said had accelerated discussions. Mitsubishi Motors shares, down around 45 percent since it admitted misconduct over mileage on April 20, were untraded just before closing up 16 percent at the daily limit. Nissan will gain a leg up in Japan’s small car market – where it is dwarfed by Suzuki and Toyota’s Daihatsu – and in key emerging economies. Asia excluding China accounted for about 7 percent of its global retail sales in April-December. “The biggest benefit to Nissan would be Mitsubishi’s presence in Southeast Asia,” said Koji Endo, autos analyst at Advanced Research Japan. Mitsubishi has strong brand recognition in the region, while Nissan has been less successful at establishing a presence. But it will also face the much tougher task of ensuring a turnaround at Mitsubishi, without full control. An industry banker familiar with the deal said Mitsubishi Motors was now likely to reshuffle its top management, but dampened expectations of a full takeover. Sister companies in the sprawling Mitsubishi family are unlikely to sell, he said. 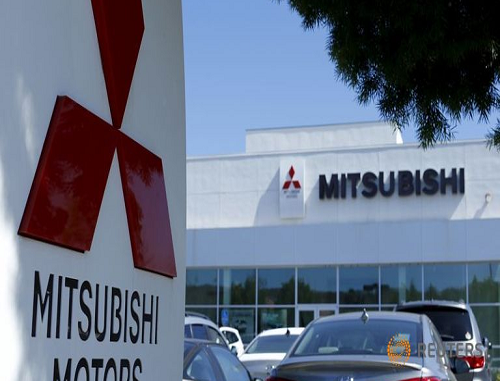 Mitsubishi Heavy Industries Ltd, Mitsubishi Corp, and the Bank of Tokyo-Mitsubishi UFJ, together with subsidiaries held roughly a 34 percent stake in the automaker before the deal. That is now diluted to around 22 percent. For Mitsubishi, the need for a deal had grown. Mitsubishi Motors said on Wednesday said it had enough cash to weather the fuel-economy scandal – but also warned that non-compliant data may have been used to calculate the fuel economy for more of its cars than previously announced. After Mitsubishi admitted last month to overstating the fuel economy of four of its mini-vehicle models, analysts estimate the automaker is facing up to $1 billion in compensation payments to its customers, along with payments to Nissan. The three brands’ combined annual global sales would be about 9.3 million vehicles, approaching the group sales of industry leaders Toyota Motor Corp and Volkswagen AG.